Unique Moments Photography from Gig Harbor Washington captured this image at Filigree Farms. Filigree has a great pasture next to the tent area to get the bridal party out for photos. 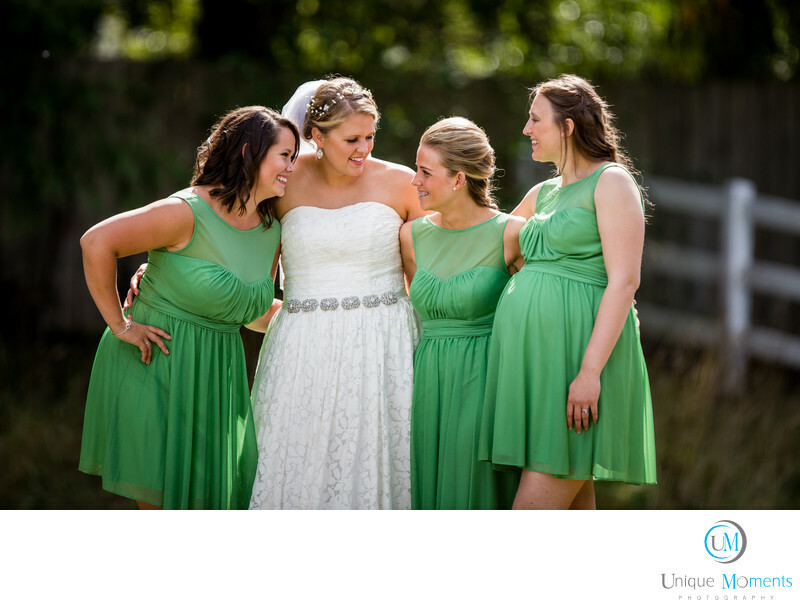 This image was captured with the ladies during the bridal party's time line. We try to factor an hour for the bridal party, 30 minutes for the bride and groom photos and an Hour for immediate family photos. The formals are important and brides always include them in their albums. Often 4-5 spreads for all of them. We use off camera flash for the images so there is no shadows in eye sockets. We want the images to stand the test of time so we take great pride in our ability to make them perfect. The main wedding area at filigree is perfect for formals. We cant wait to get back to filigree farms. Great venue.